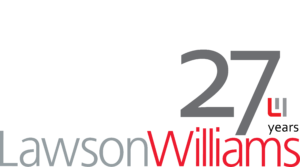 With 27 years experience in New Zealand industry, Lawson Williams works with job seekers and organisations, responding to the rapidly changing employment landscape. Delivering recruitment processes for executive through to technical specialist and team leader level positions. Developing flexible, open recruitment solutions to fit with internal recruitment and HR resources. Improving your recruitment outcomes and reducing the total cost of recruitment. Knowing what you do and where you fit, helping you achieve a sustainable career. The right people, through fit for purpose future focussed recruitment solutions and HR services. Need some assistance with your interviews? We are pleased to issue the latest Survey Report Summary which covers the period April 2017 to March 2018. Why wait 7 weeks? Lawson Williams can obtain a Police check report in 4 working days. It’s a new year, has anything changed? At the beginning of every new year in our recruitment business we are interested in what has changed. What skills will our clients be looking for in their employees in 2019. New Zealand Staff Turnover Survey results. Just as the moon controls the tides, there are significant forces at play when it comes to holding on to your staff. Have you applied for or seen a role that you’re really interested in but not sure your CV is up to scratch or you’re lacking interview confidence? Interview success – Can you tell a story? Can you remember a time when you were listening to someone speak and somehow, they engaged you? To this day you can remember most of what they said or at least the message they were trying to convey? As i write this blog the documentary Dancing with Atoms, a tribute to Sir Paul Callaghan is being released. I heard the filmmaker Shirley Horrocks speak about the making of it and about the remarkable and interesting person he was. A recent survey of New Zealand business leaders by journalist Diane Clement asked, what was their number one interview question. Almost half of the respondent’s questions focused on change and innovation.